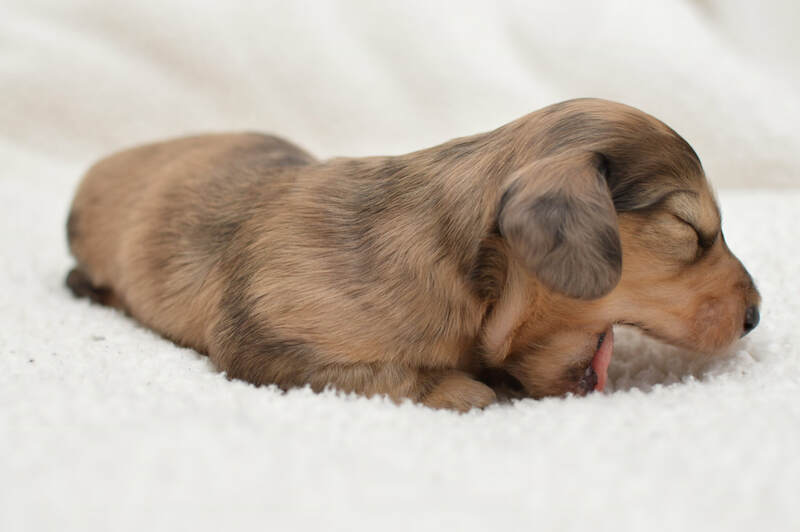 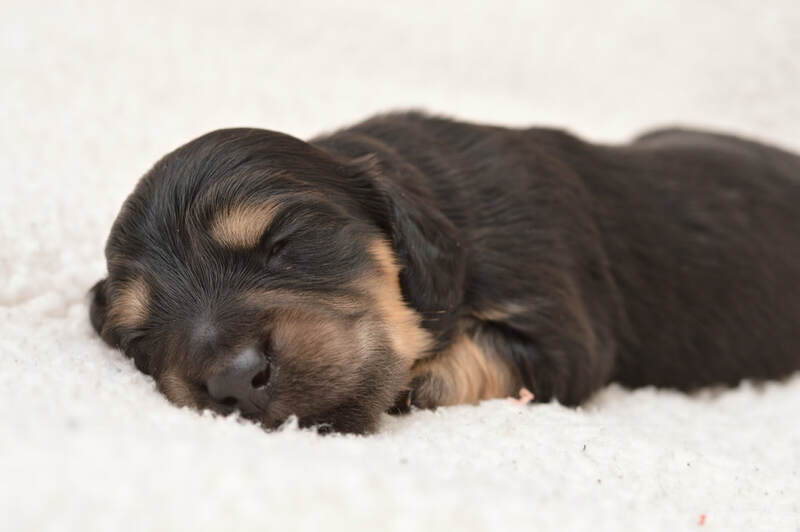 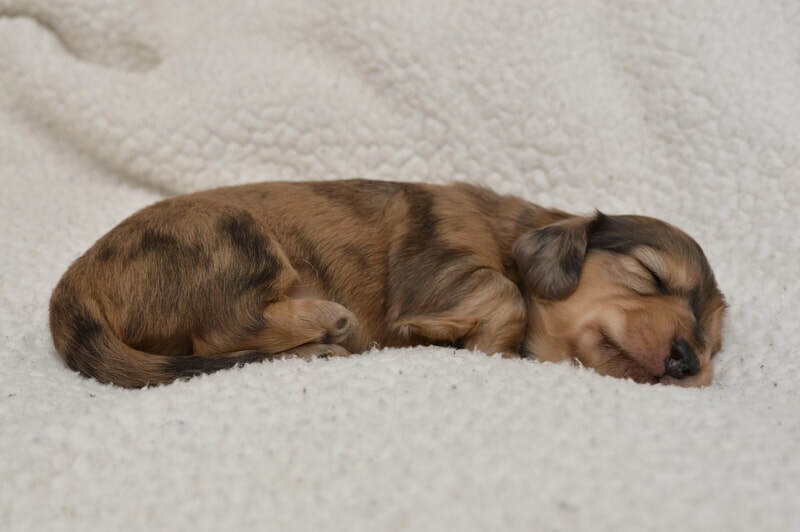 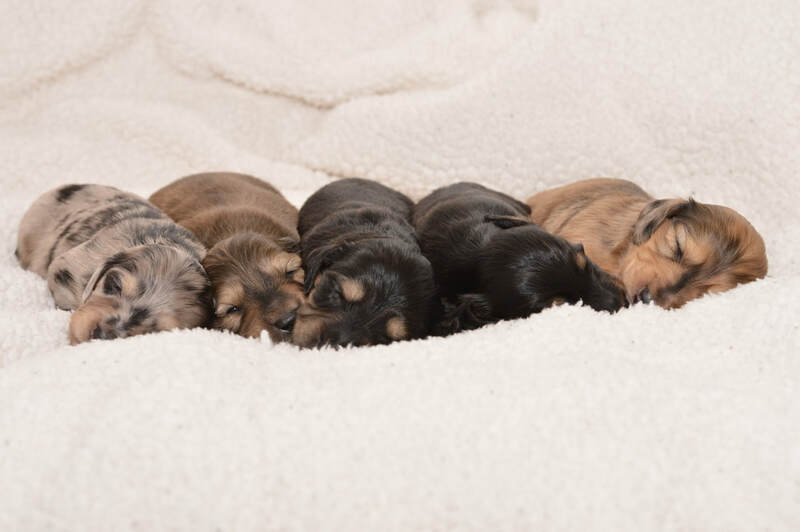 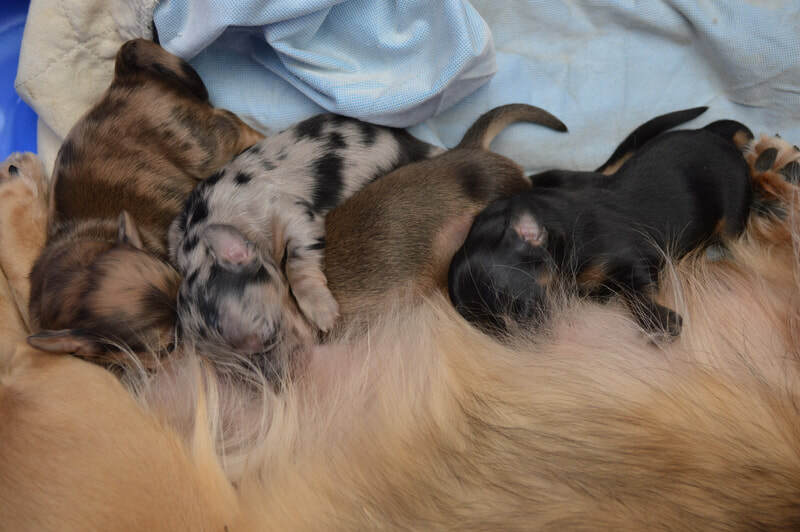 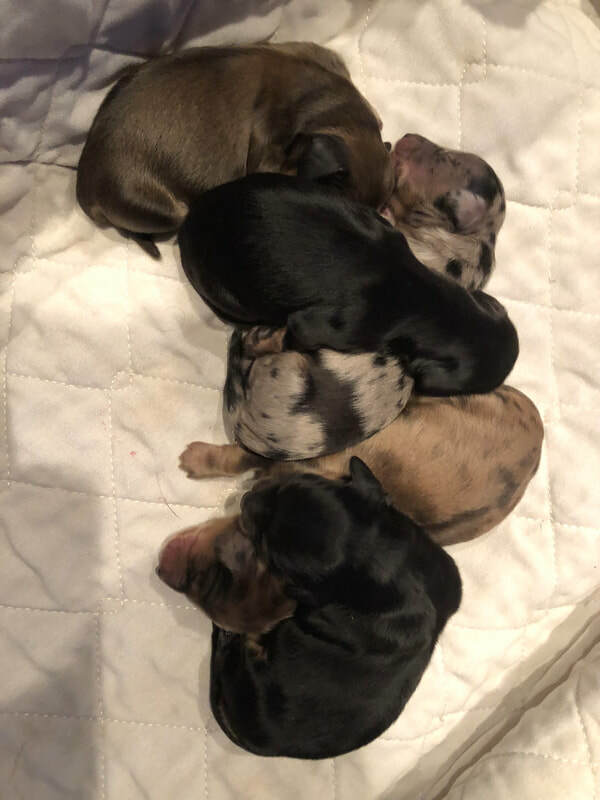 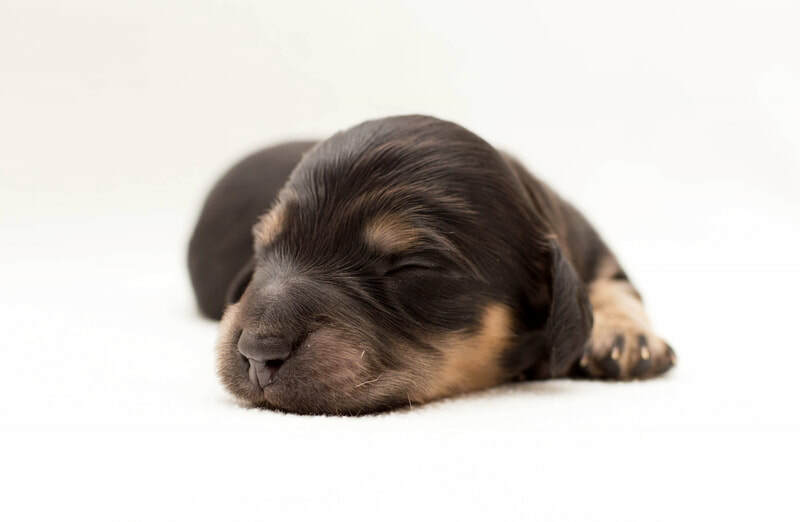 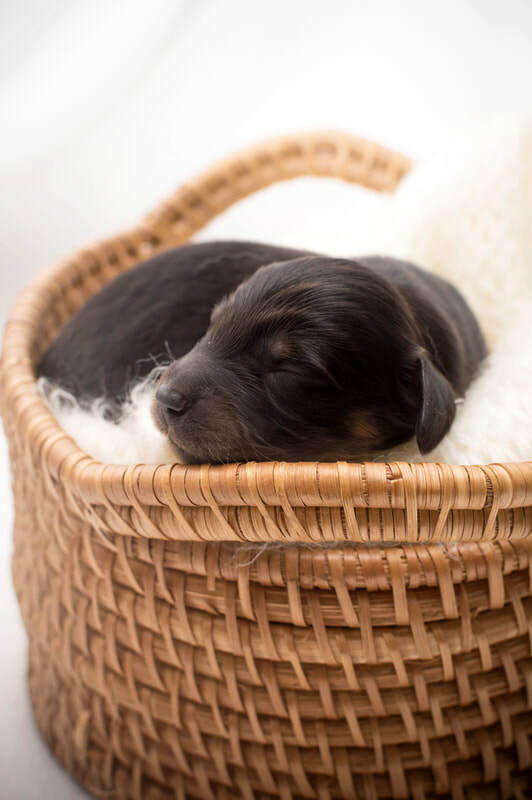 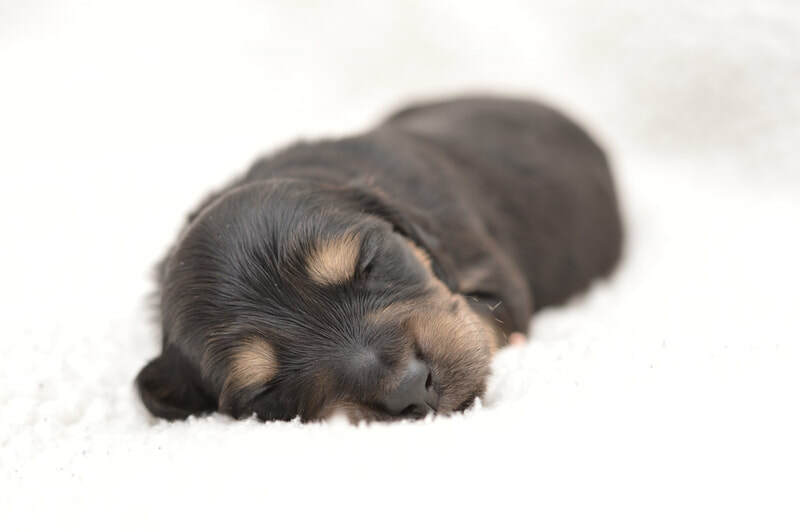 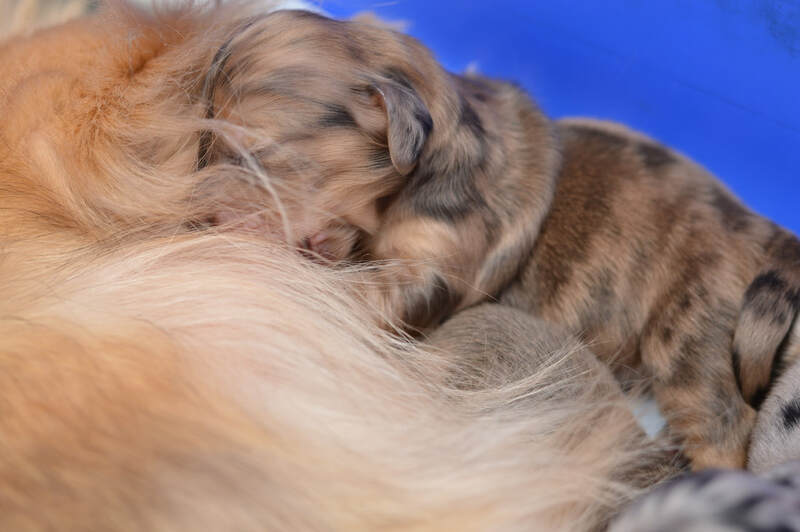 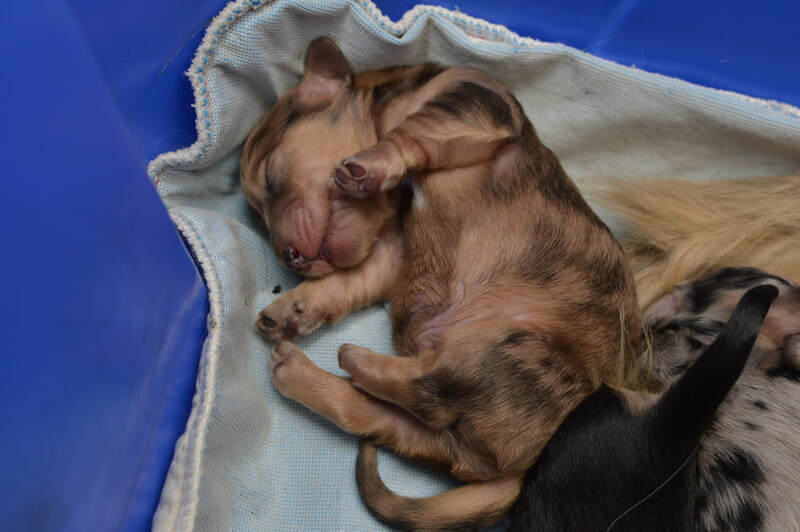 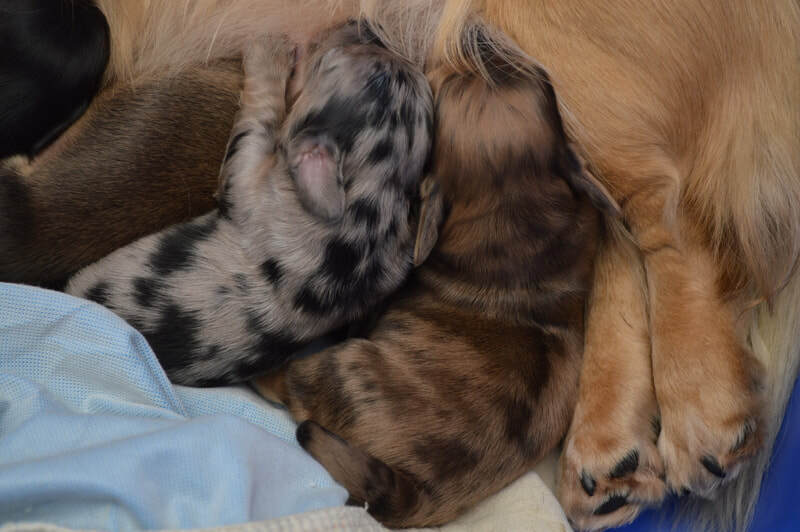 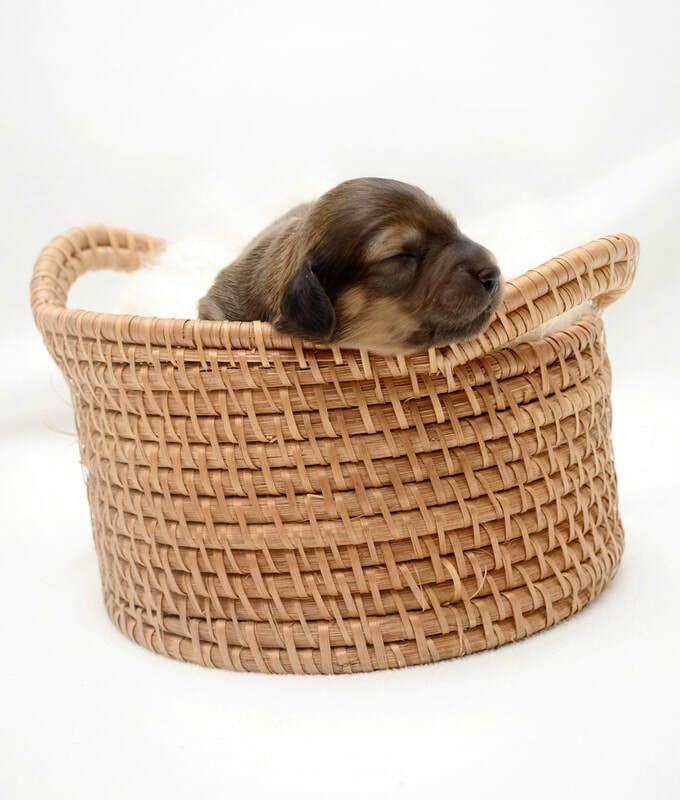 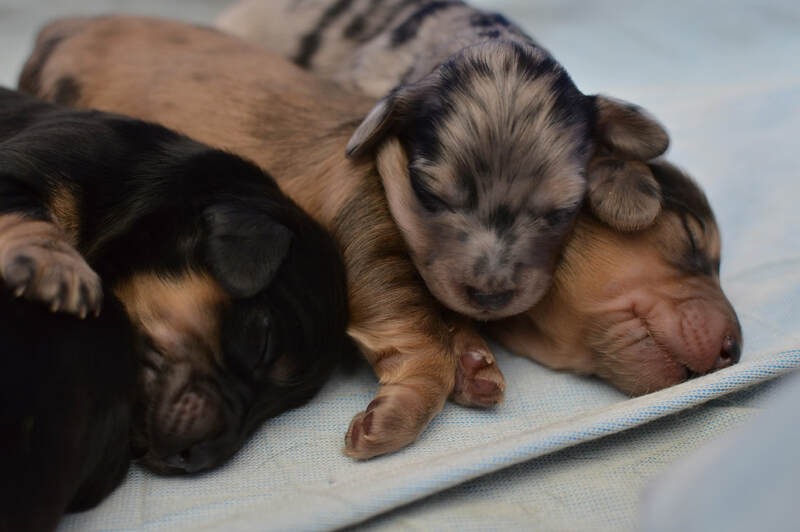 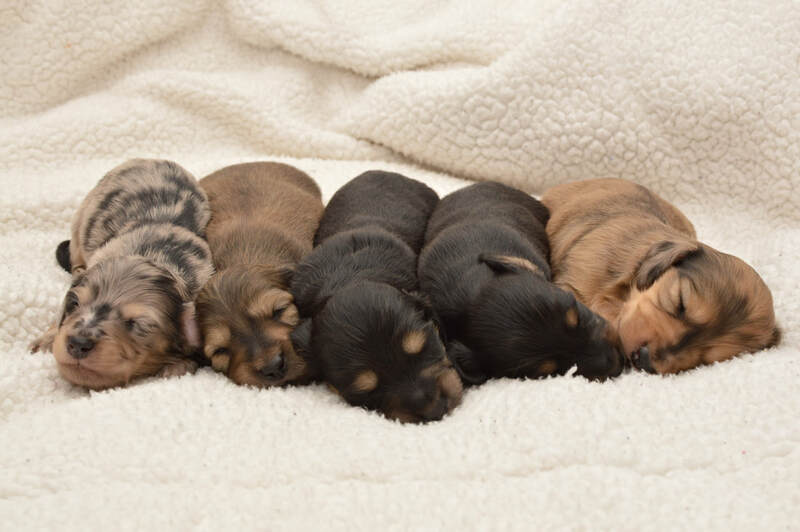 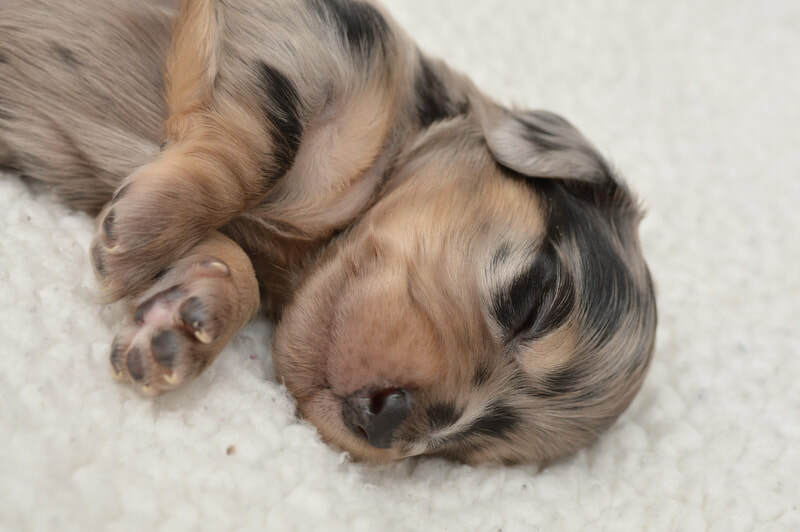 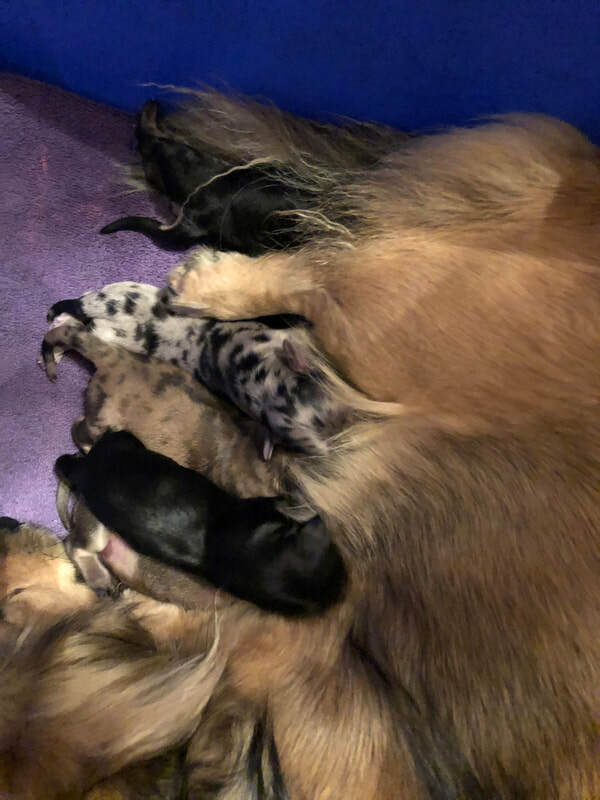 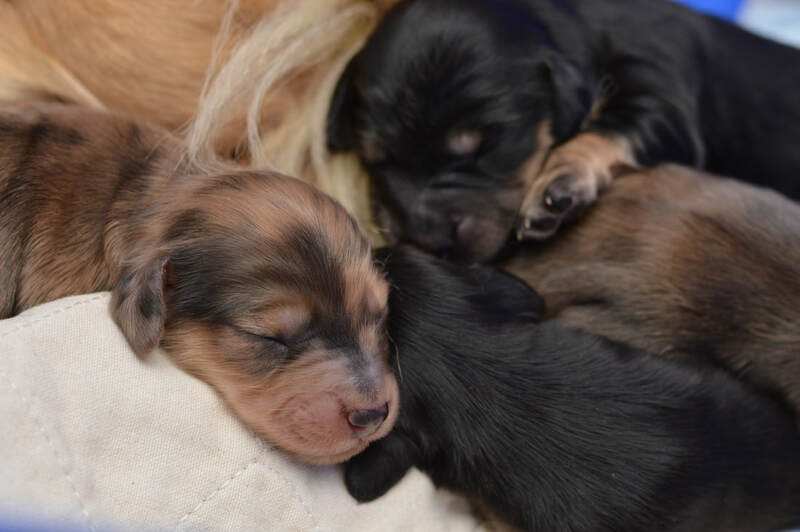 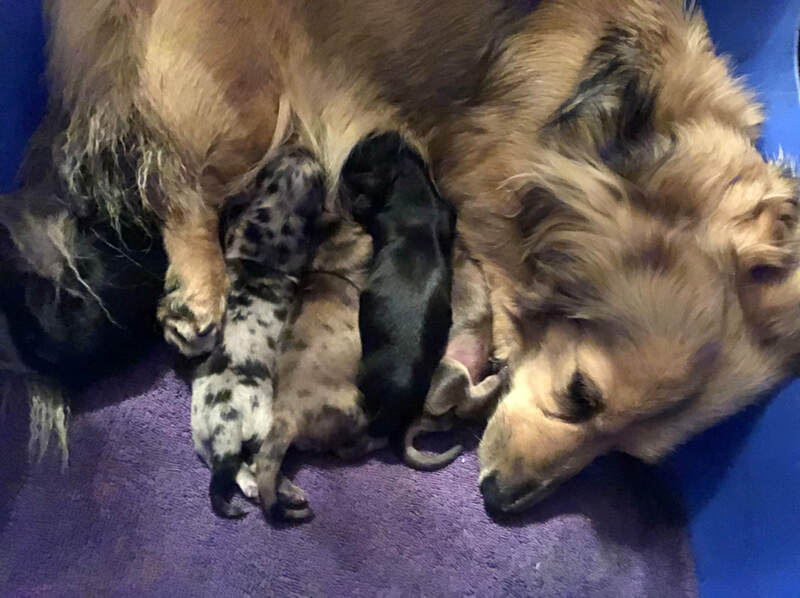 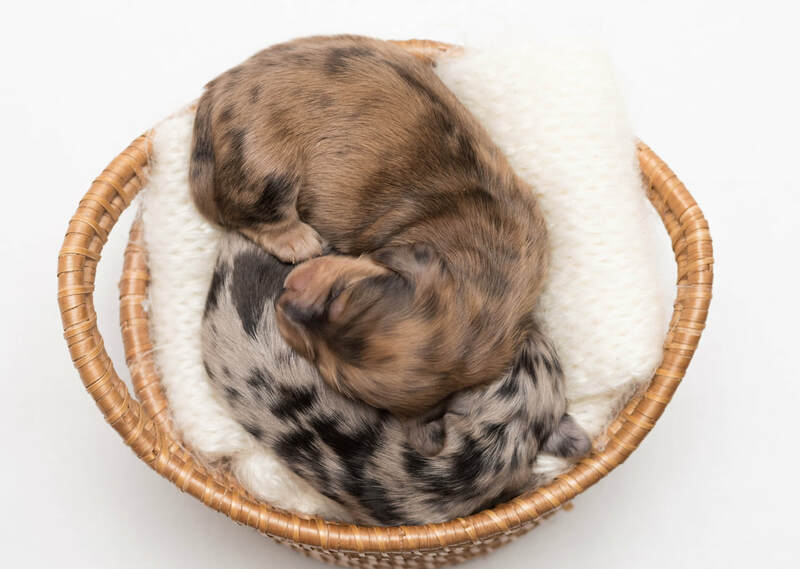 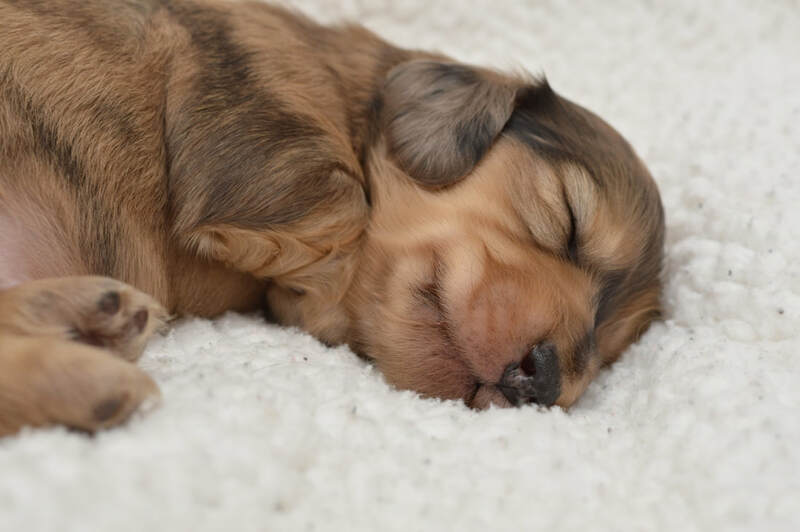 A new litter was born March 5th, 2019 between Otillia and Tucker. 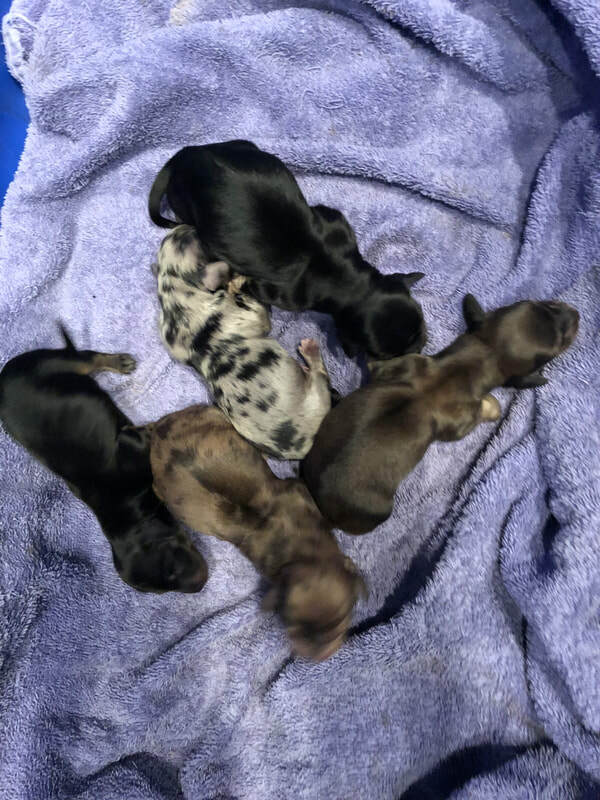 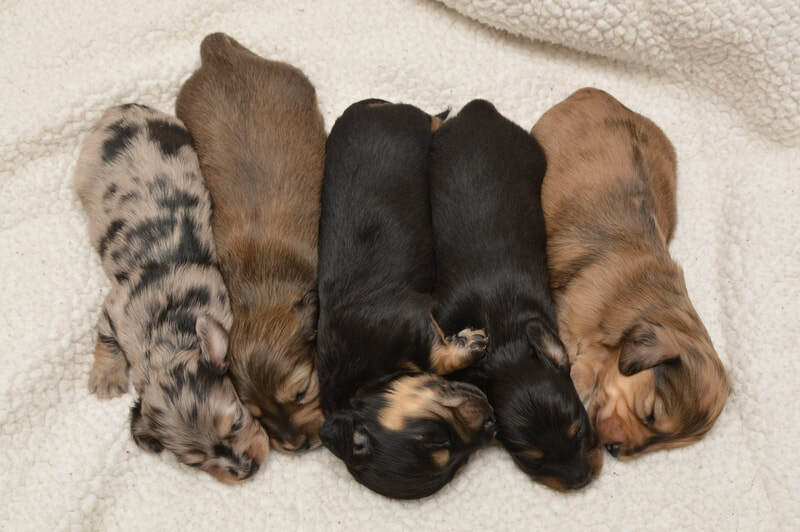 There are 5 beautiful males; a reverse black and cream dapple, an English Cream Dapple, an English Cream, and two black and creams. 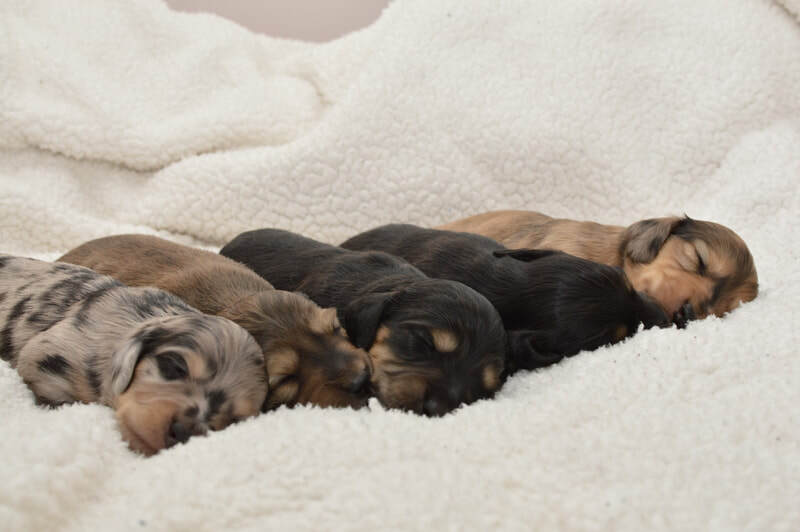 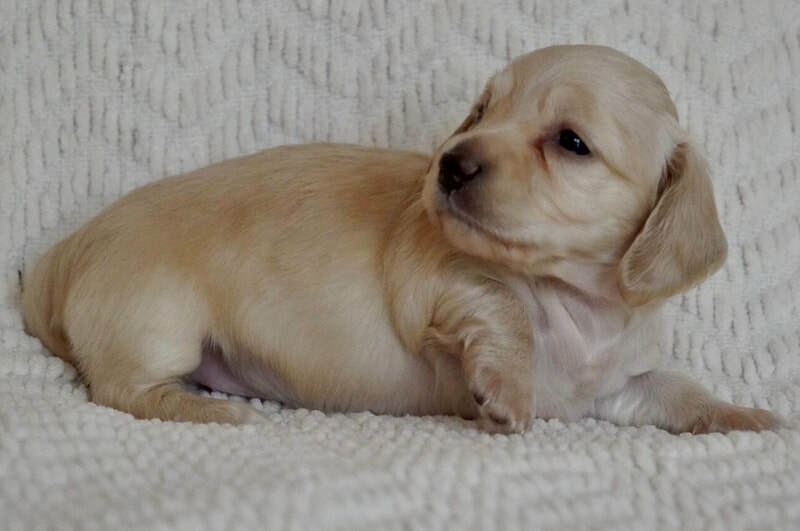 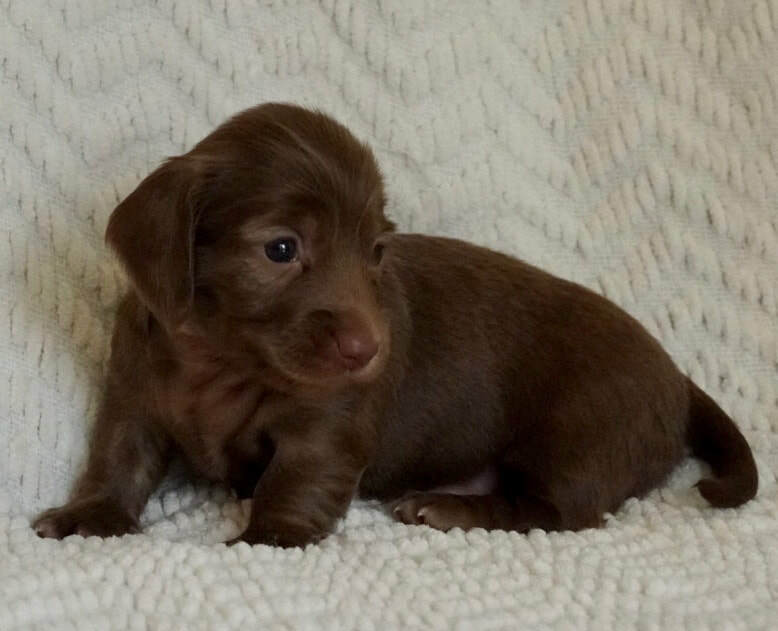 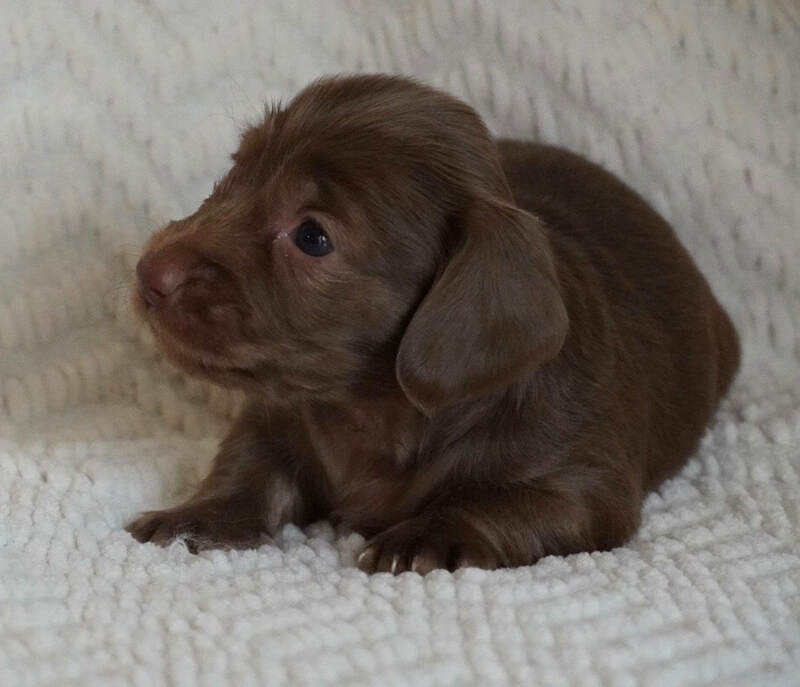 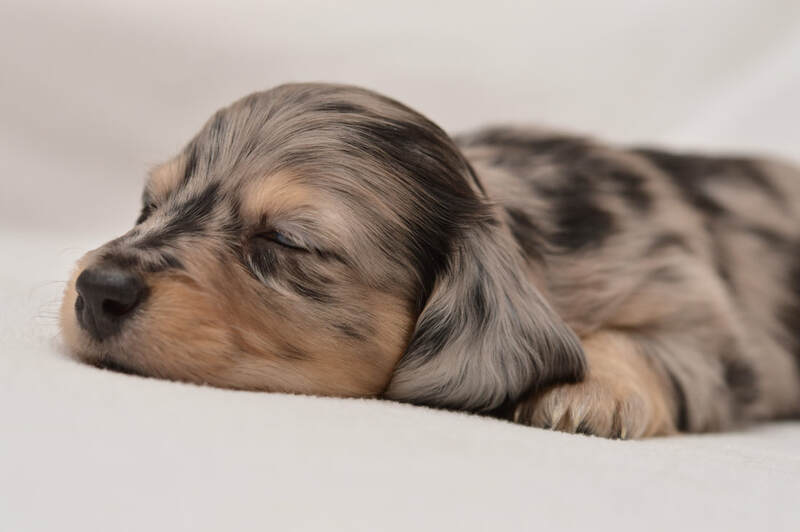 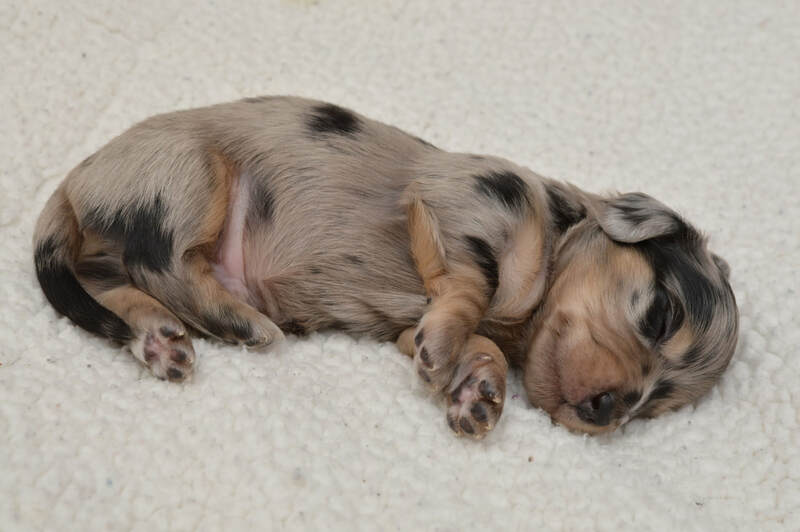 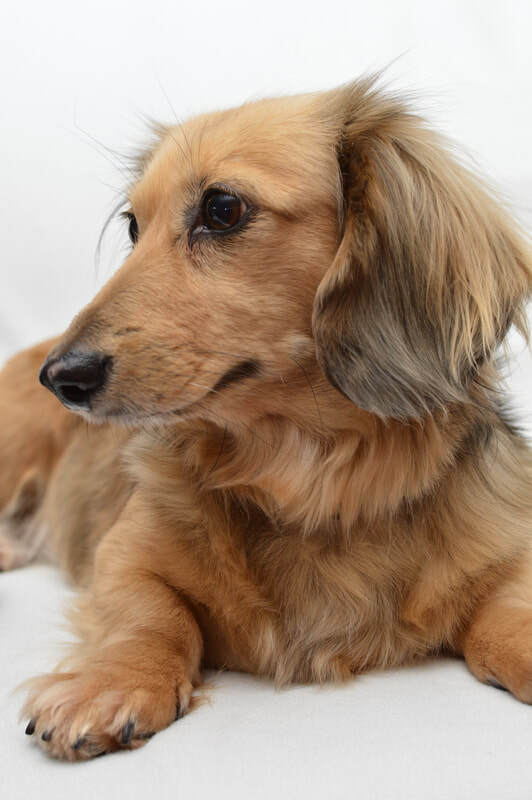 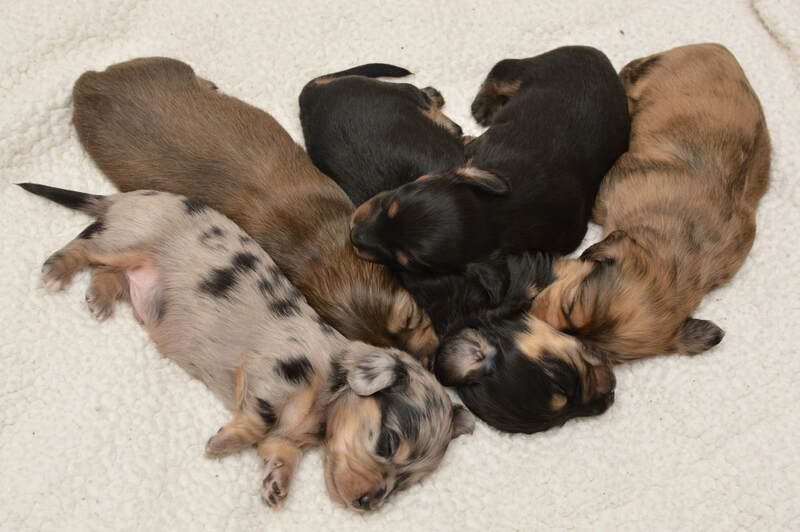 This litter should mature between 11 and 14 lbs and will be longhair. 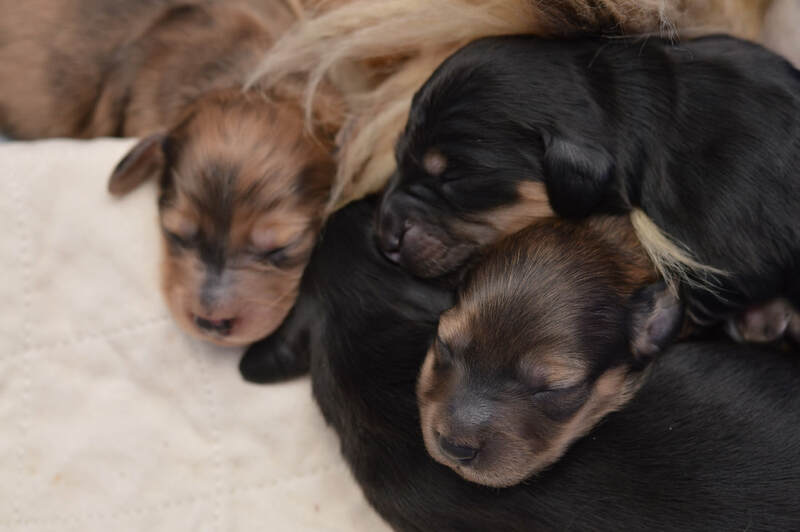 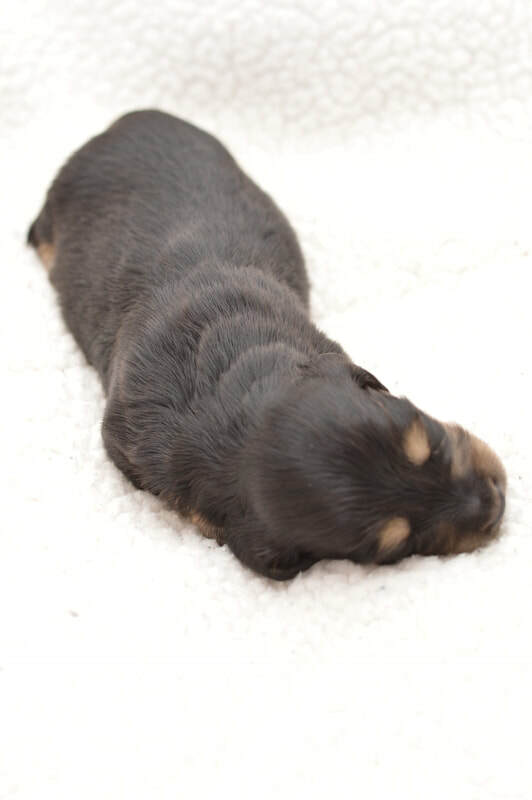 We are excited about these beautiful, super sweet, loving puppies with correct conformation. 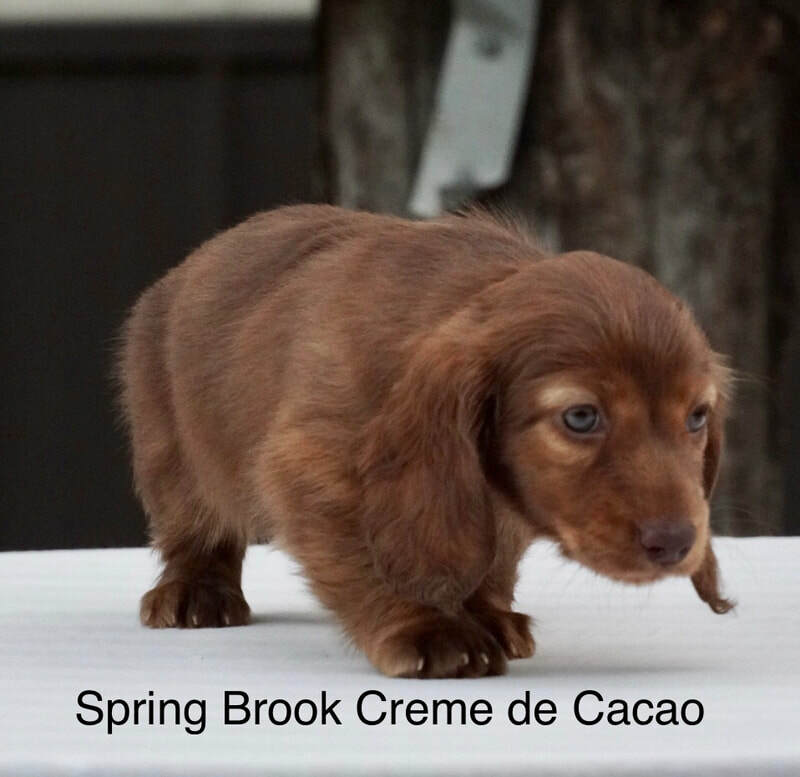 Watch this page and my FB Page and my Instagram Page for Spring Brook Farms, LLC for updates. 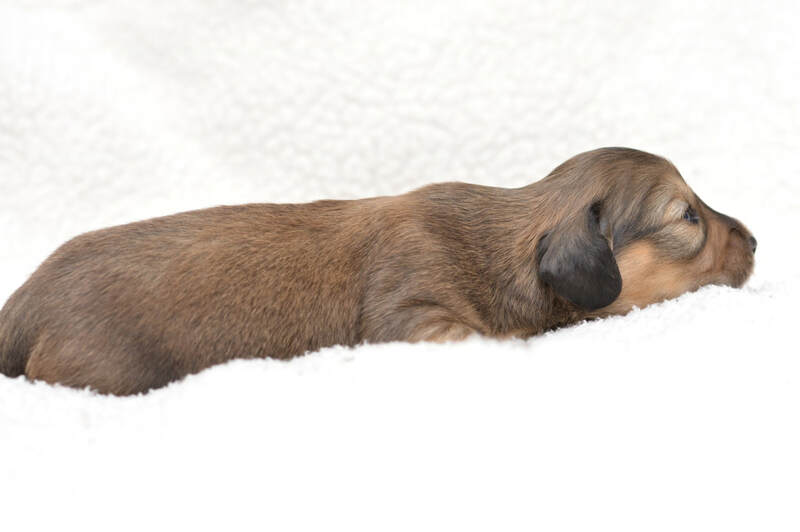 Deposits are $350.00 and are being taken now. 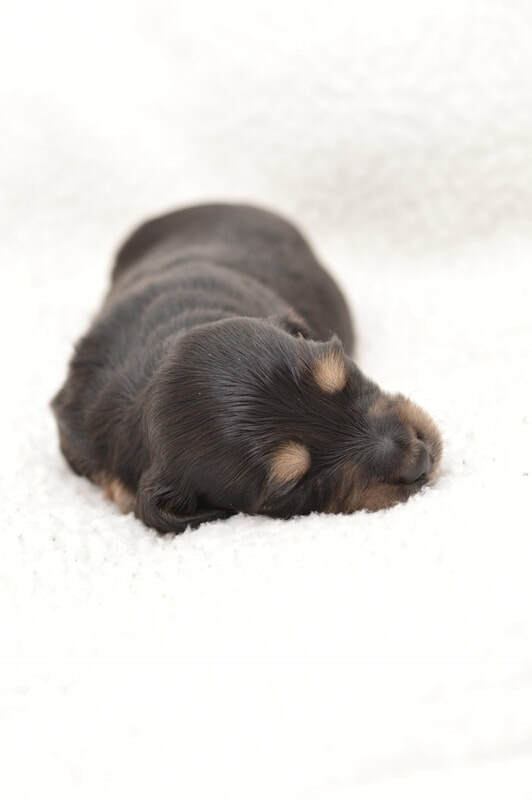 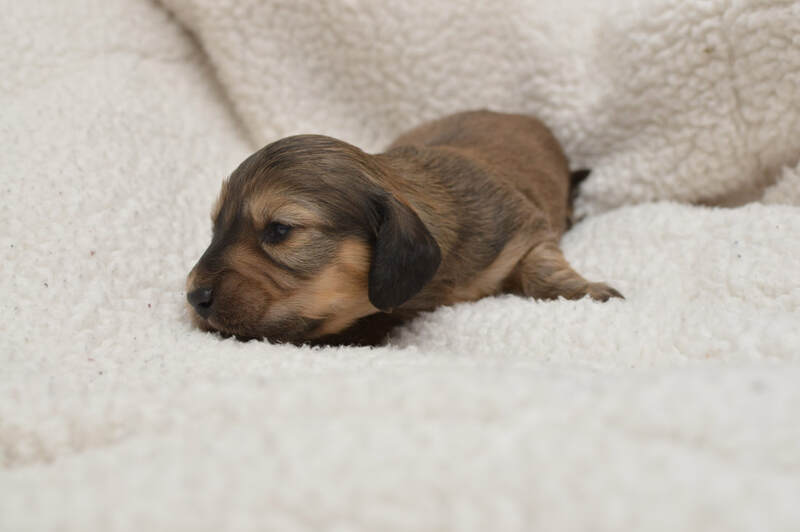 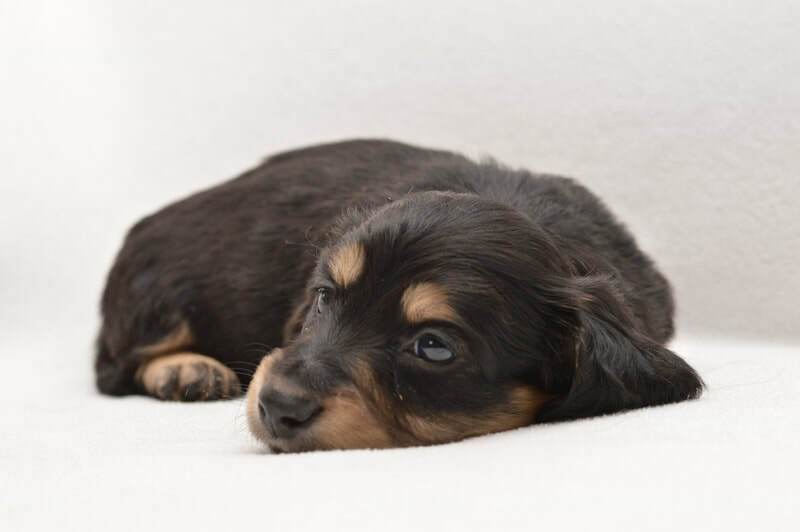 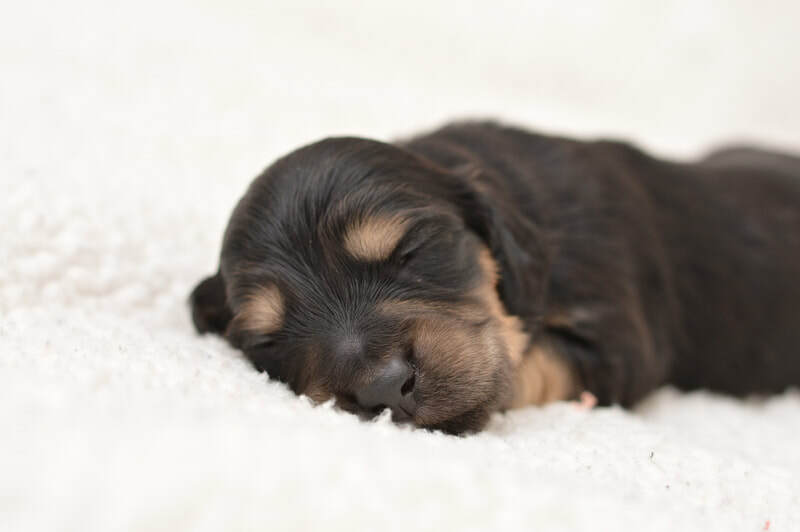 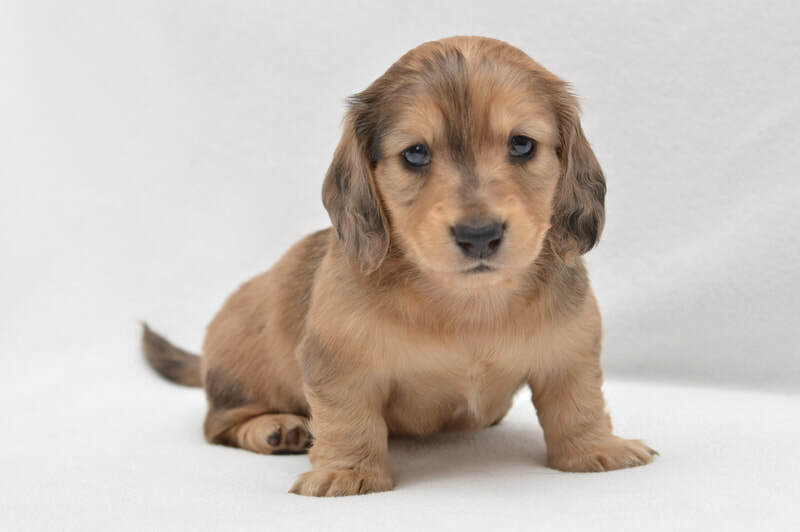 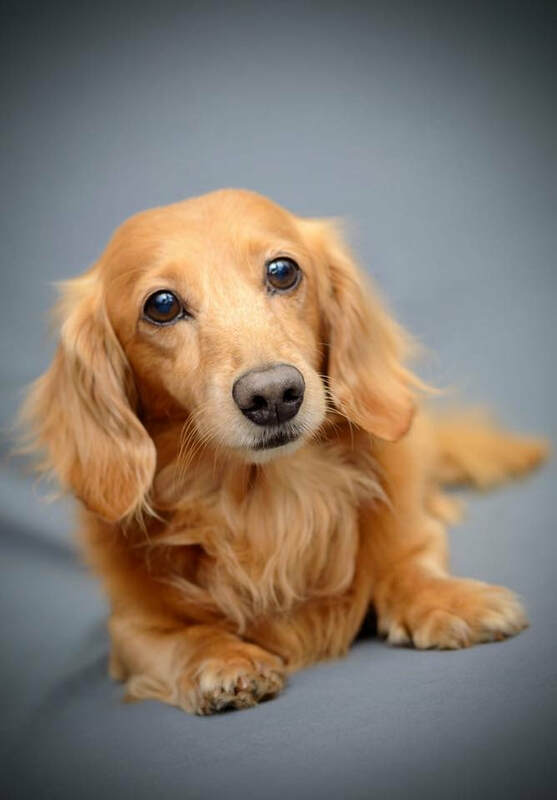 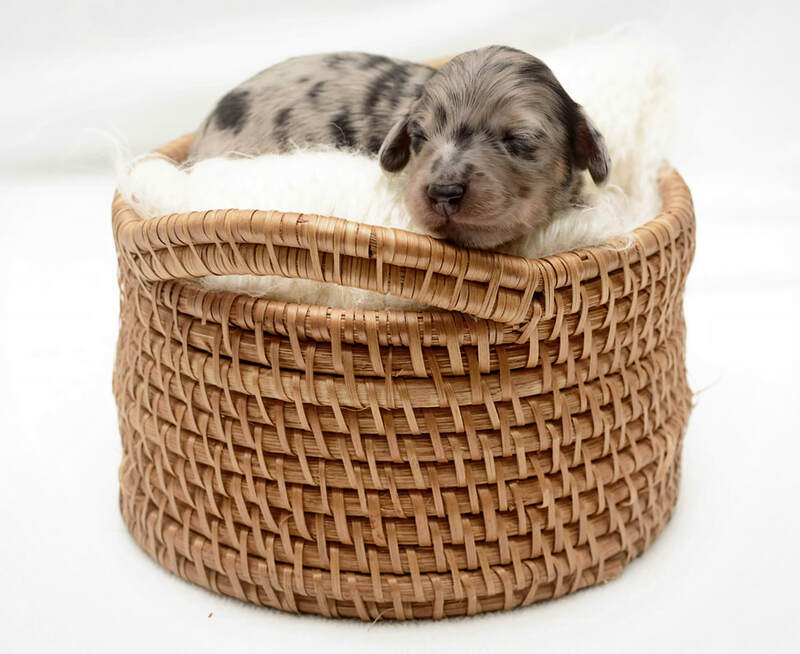 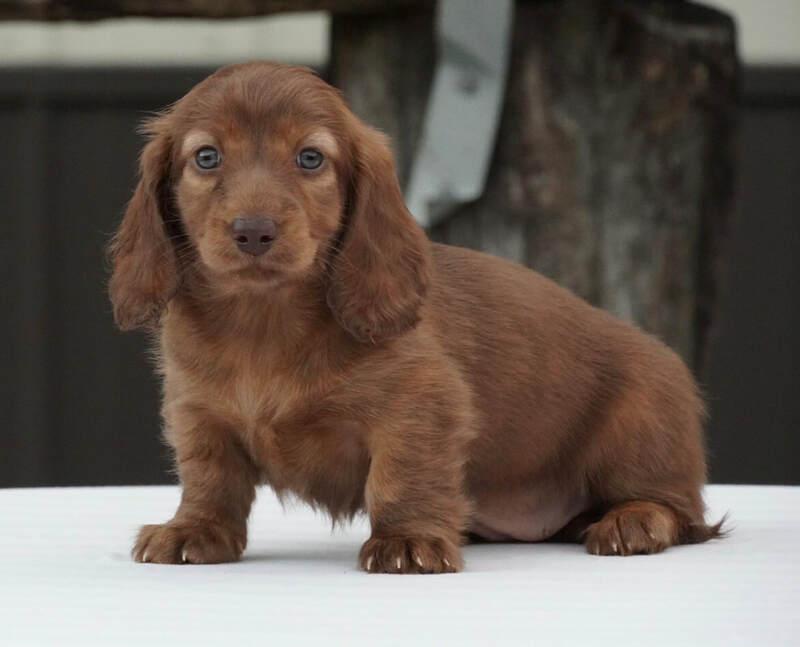 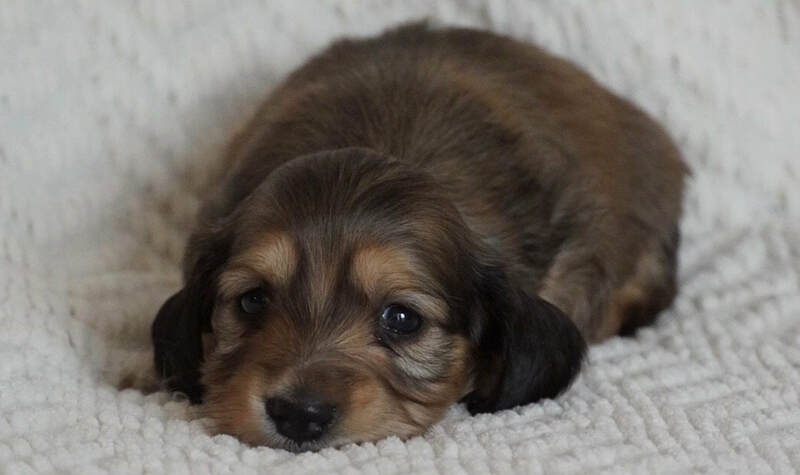 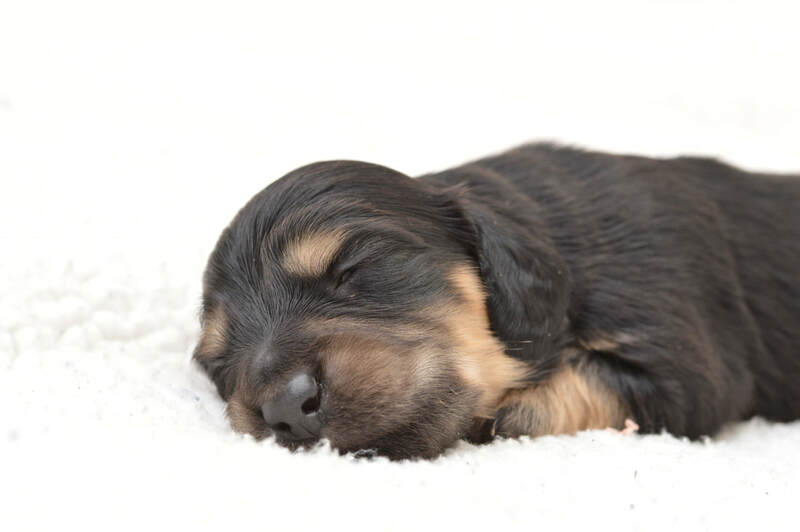 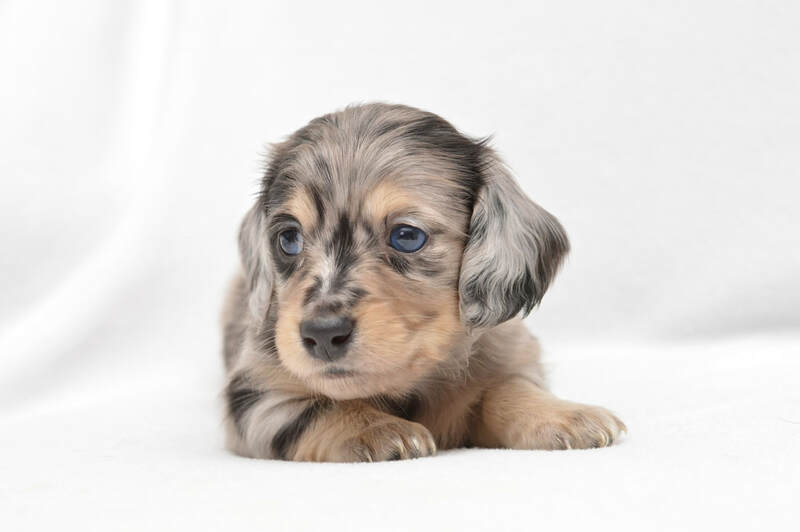 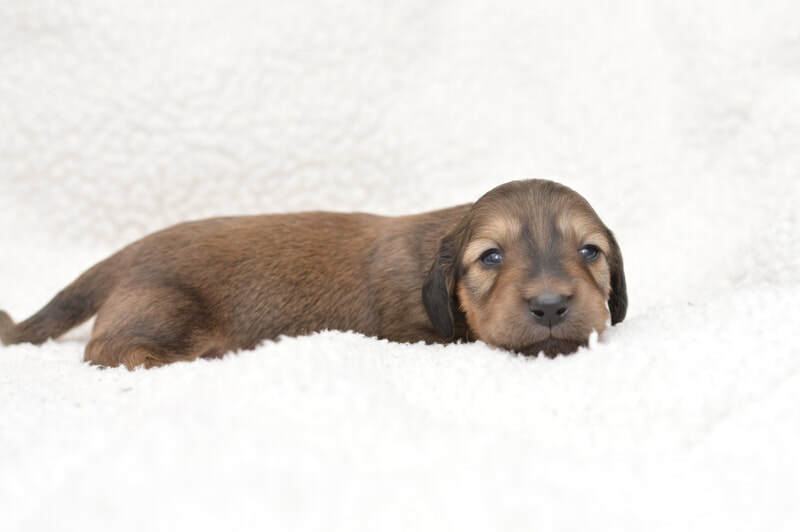 Please contact us to discuss reserving a new member of the your family soon. 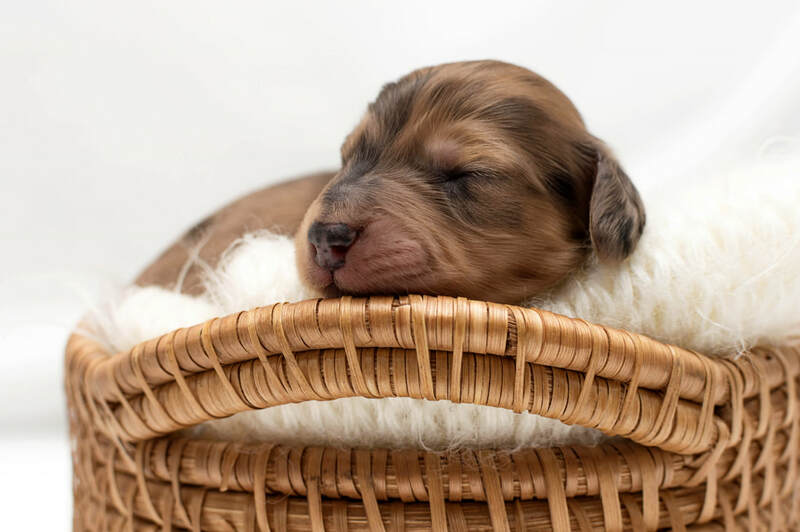 Thank you Ellen and Zak! 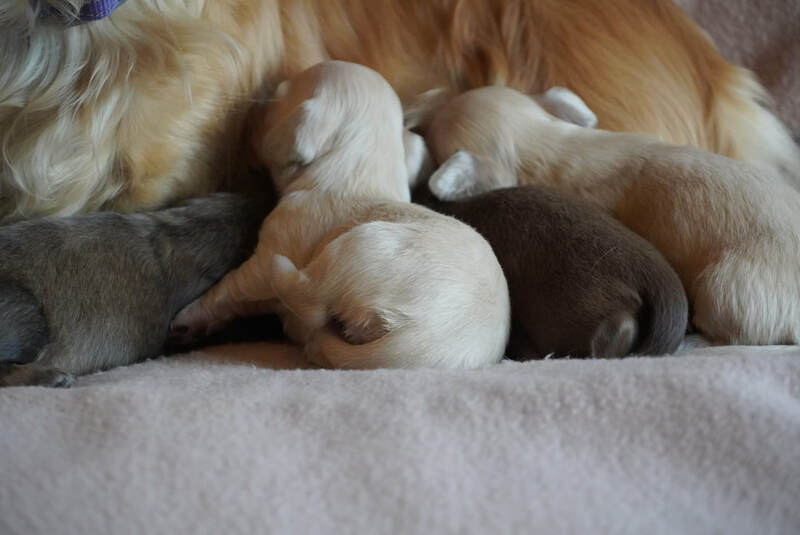 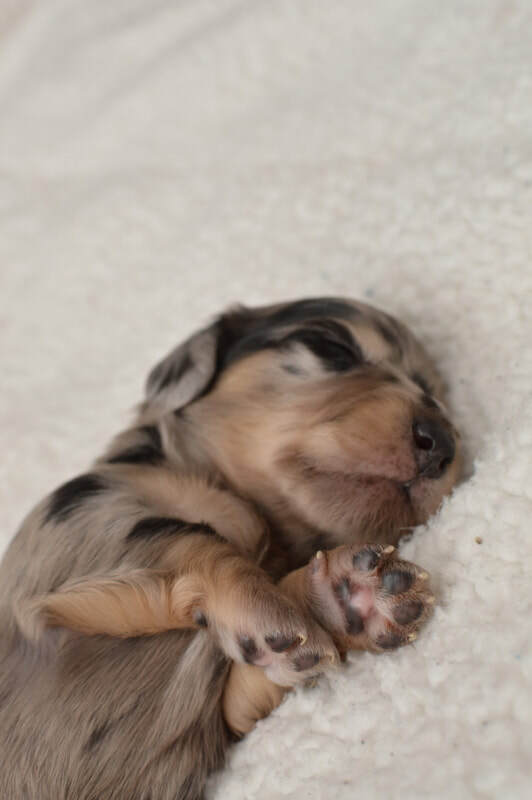 ​Thanks to our Co-Breeder Stephanie!